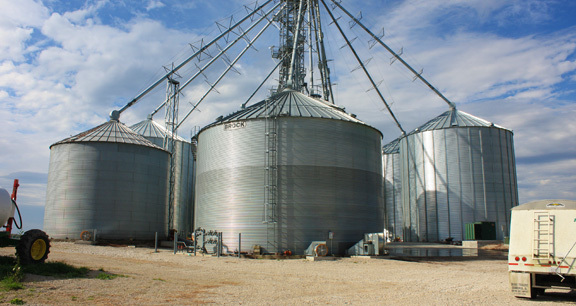 Project obstacles and solutions: Meadow View Farm was expanding its grain storage and drying area to include seven grain bins, elevators and a loading area for heavy duty trucks. The facility is one of the largest farming operations in Hardin County. Terry Priddy was selected to perform all of the concrete work on the project. Priddy's Concrete Construction specializes in farm and residential concrete work in central Kentucky. The project called for over 1,000 yards of concrete and Priddy runs a small crew. He needed concrete that would not set too quickly on his crew. He chose imix concrete products for all phases of the construction of the grain bins. The imix line of concrete products are designed for ease of placement, holding its slump and remaining workable without compromising strength. The project included imix EZ Footing for all of the building foundation footings, imix Superslab for the grain bin floors, imix EZ Wall for the drying mechanical bays, and imix Drive Plus for all of the exterior flatwork. Some of the larger pours had to be completed as a continuous pour, including the floors of the grain bins. Priddy was able to handle the larger pours with a small crew with the imix products. For more information on the imix products used in this project, click here.